I received an email from Maria at Hilleberg the tent makers, inviting me to go along to meet up with Daniel and have a look at their tents, beer and food would be supplied and also a room for the night in a Hilleberg tent. I thought it was a wind up at first but had it confirmed from Hilleberg. Thrilled and delighted that I had been given an invite to talk to one of their team. 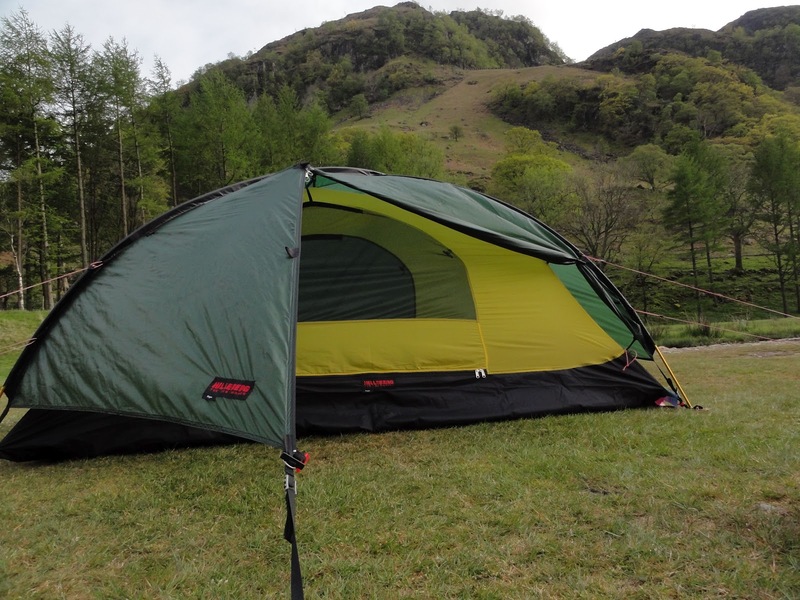 I do love the Hilleberg tents, the way they are designed and the quality of their craftsmanship is second to none. So on the day Dave and me drove up (daveswildcamping also got an invite) we got there early as Daniel was going to meet us at 6pm, me and Dave took it upon ourselves to go for a quick pint whilst waiting for Daniel to turn up. Dave had asked the barmaid if she had heard anything about a meeting on the campsite, she asked the owner of the campsite and the reply was "no", she asked if we had been wound up. I must admit I had a little worry for a minute as we were sitting there like two noobs? She went out of her way to find out and even phoned George Fisher (the shop) and they confirmed it. Relief, and on that note, I saw a man driving past in an estate car heading for the campsite, it had to be them, so we supped off and walked back to the campsite. Heading over we could see that it was in fact Daniel from Hilleberg, a nice big sign was erected next to the car and one tent was already up. A quick introduction and Daniel went to his personal fridge for the night (the stream), and a nice cold beer was had with a chat about the new 3 season tents he had up, the Rogen and the Anjan. 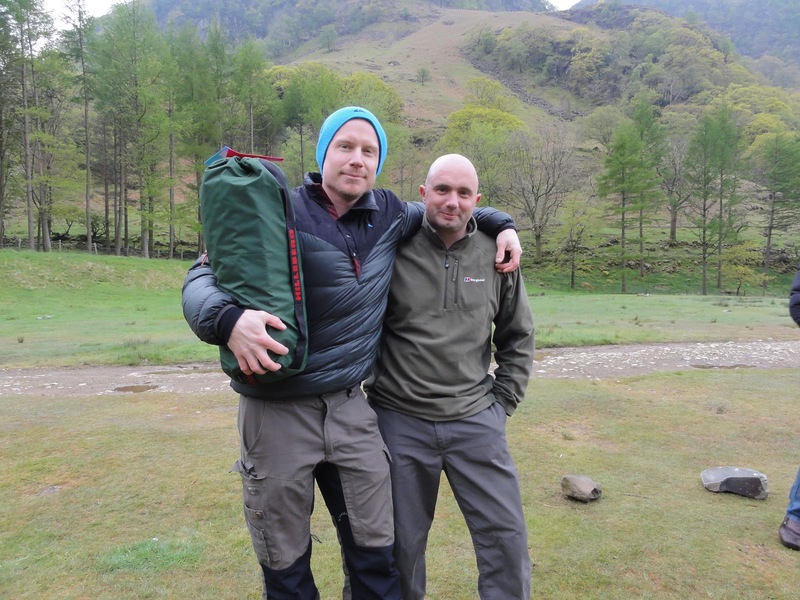 Jon was to arrive next from George Fisher and two other guys also from George Fisher, should have wrote the names down as my memory is shot to bits, helped along with the beer on the night. Sorry for forgetting your names. We all had questions for Daniel as we walked around and put some more tents up, like kids with new toys all excited. It was so relaxed nice group of blokes chatting away sharing stories of trips, a good laugh to say the least. Time was passing quickly so the bbq's were set alight and food put on to cook, I was hungry and looking forward to some chicken, I was also tempted with a cumbrian sausage in a bun. (sausage sarnie). 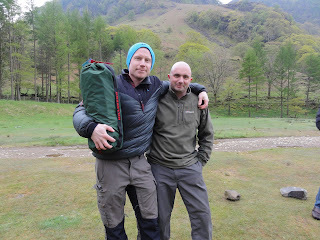 The two lads, I forget their names, had to leave and were not staying the night, so then there was four. The talking and story telling went on all night and a bit of brandy to cap the night off we all retired about 11pm. Early for me but it had been such a pleasant evening with like minded people. 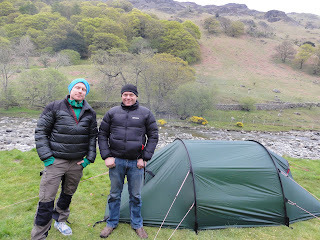 I could have stopped a couple more nights to repeat the fun but Daniel and Jon had to be up early for they were holding a tent show at Keswick Mountain Festival. I couldn't make the tent show which was a bit disappointing as I enjoyed the company of Daniel & Jon two top lads, work always spoils my fun and it was back to work for me. Looking back at the trip I had my eye on yet another Hilleberg tent but unless the Allak I have on ebay sells I think I will have to just keep wanting. We had the pick of which tent we wanted to sleep in and Dave beat me to the Nammatj (damn you Dave lol) I opted for the Rogen, Hillebergs new 3 season tent. I also learned about Hilleberg tents, that one person makes the whole tent and each one has the persons name on a label sewn inside. A touch I personally think is good, in fact soon you will see who built my Hilleberg Soulo, am going to do a short clip of it. All in all I had a fantastic time as am sure everyone there did, so much so that Daniel invited us to Sweden and a tour round where they make all the tents. You may just have to keep that deal up Daniel as I want a go of your wind machine ;-). I didn't capture too much video footage as I was too busy enjoying myself in great company, so have a look and please feel free to like, comment, subscribe and enjoy it. 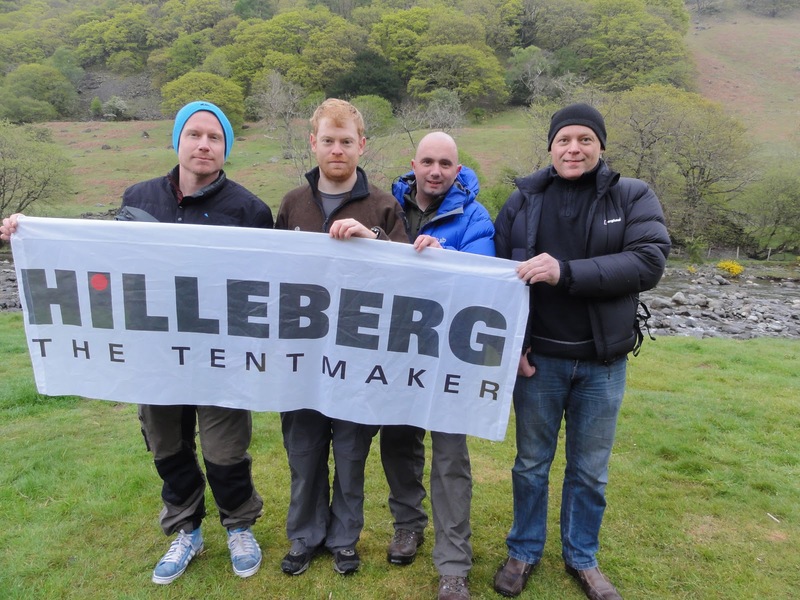 I would like to say a massive thanks to Hilleberg for the invite and all who was there for making the trip special.